Midtown West is a huge tourist area with great neighborhoods like NYC’s famous Diamond District, Hell’s Kitchen and Koreatown. Hell’s Kitchen, within midtown, is the most western section and an “up-and-coming" residential area of New York City with new shops and restaurants opening often. 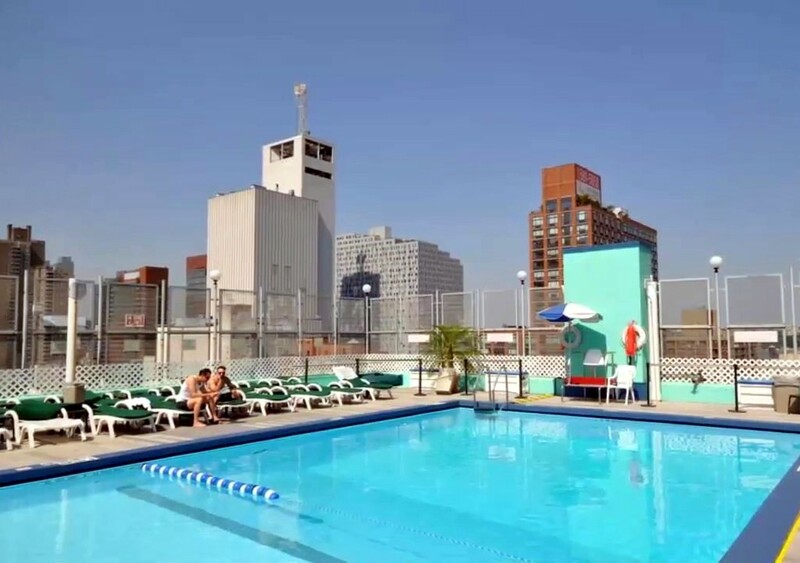 Koreatown, just a block from the Empire State Building, is known for their restaurants and karaoke bars and clubs. 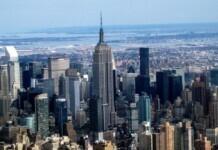 Empire State Building (350 5th Ave, 33nd/34rd) – $34 Adult, $27 ages 6-12, under 12 free. Go early to avoid the lines, or get an Express Pass ($60). There are 3 lines to get in: 1) security line, mandatory for all, 2) ticket line, unless you have pre-purchased tickets. 3) Elevators to the Observatory. Express Pass holders get priority at all three lines. While I’ve heard the Skyride is a tourist trap, I have never personally experienced it. Intrepid Sea, Air and Space Museum (Pier 86, 166 W 46th St at 12th Ave) – centered on the aircraft carrier Intrepid (CVS-11), and features a range of interactive exhibits and events about heroism. Educational, planes, war and a view of the Hudson River. Madison Square Garden/ Penn Station(7th Ave, 31st/33rd) – catch the Rangers (hockey), Knicks (basketball) or concert in the main arena or a show at the Theater at Madison Square Garden. The MSG All-Access Tour, lets you visit team locker rooms, learn how the basketball court turns into an ice-rink, meet a Knicks City Dancer, and classic history, such as where Joe Frazier took on Muhammad Ali for the first time. MoMA – technically, the Museum of Modern Art is in Midtown West, but it is grouped with it the attractions in Midtown East. 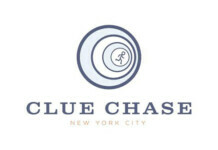 Cognac (55th, Bway) – Have a cocktail while sitting outside, people watching. Same owners as Serafina. Molyvos (7th Ave, 55th/ 56th) – excellent Greek, small plates, near Central Park. Carnegie Deli right across the street. Meske (468 W 47th , 10th Ave) – Ethiopian. Inexpensive, interesting, and if you’ve never eaten by using spongy bread to pick up your food (no utensils), it’s fun and a must-try. Most spicy and many vegetarian friendly. Restaurant Row (46th St, 8th/9th Aves) – 30 restaurants on one block, most “touristy,” all for Broadway theatre crowd, serving prix-fixe specials. Esca (402 W 43rd St., 9th Ave) Italian /seafood. Another Batali gourmet winner. 41 and X (622 10th Ave, 44th St) – Nouveau American (mac n cheese, fried chicken, ribs), less touristy than other theater restaurants, outdoor bamboo garden. Rosa’s Pizza (in Penn Station) – believe it or not, some say this is their favorite pizza in NYC. And the cheapest beer anywhere. Koreatown – 32nd St, 5th/Broadway – most any restaurant is a great choice, and right next to the Empire State Building. Press Lounge at the Ink 48 Hotel – HANDS DOWN one of THE best views of Manhattan. A fabulous hotel rooftop with a 70-foot-long reflecting pool and killer panoramic skyline views, with comfortable sofas. Macy’s (151 W 34th St, 7th Ave)– Herald Square – many people love the landmark, Macy’s, founder of the most famous Thanksgiving Day Parade and backdrop of “Miracle on 34th Street.” The store is huge (2 city blocks, 9 Floors). Crowded, very congested area, little else around it, lacking sales staff and probably little merchandise you can’t find at home or online. 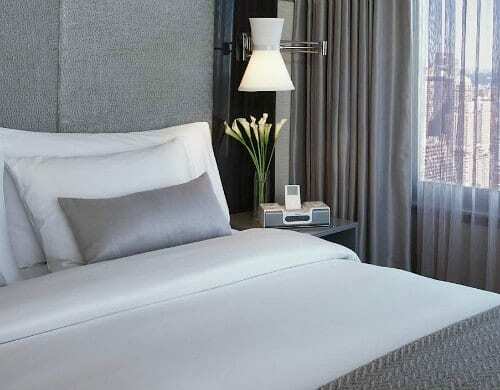 Four Points Manhattan Midtown West – Opened in 2017 and located in the heart of Hudson Yards, walking distance to the Javits Center, High Line and Chelsea Market. 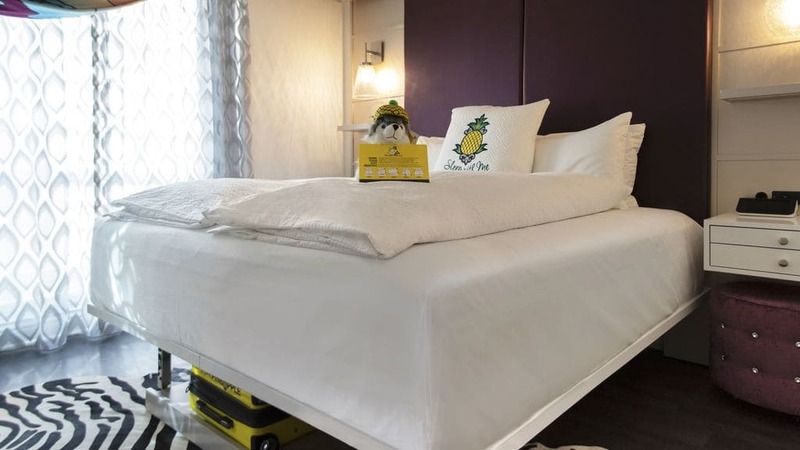 Comfortable rooms are spacious with complimentary Wi-Fi, massive rain showers and cloud-like beds. 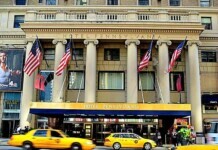 Hotel includes Hudson Bar Room and fitness center. 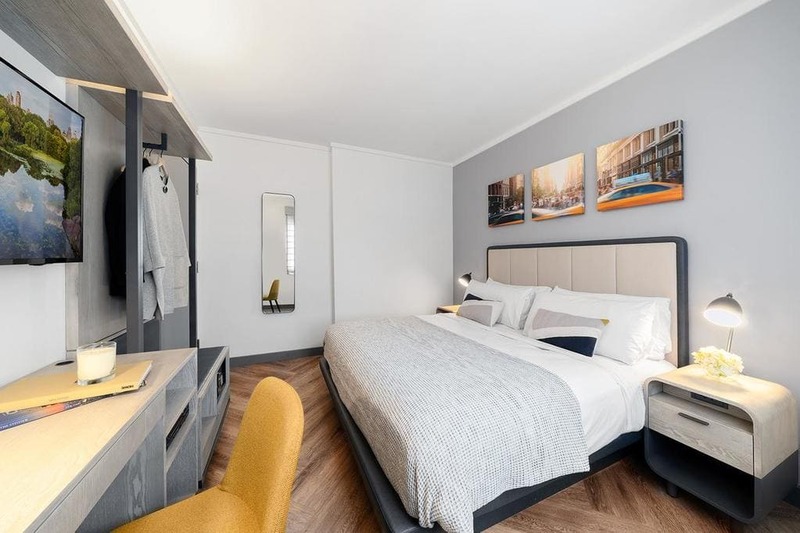 Citadines Connect Fifth Avenue New York, formerly known as Hotel Central Fifth Avenue New York, offers guestrooms featuring a sophisticated design that combines modern comfort with functionality. 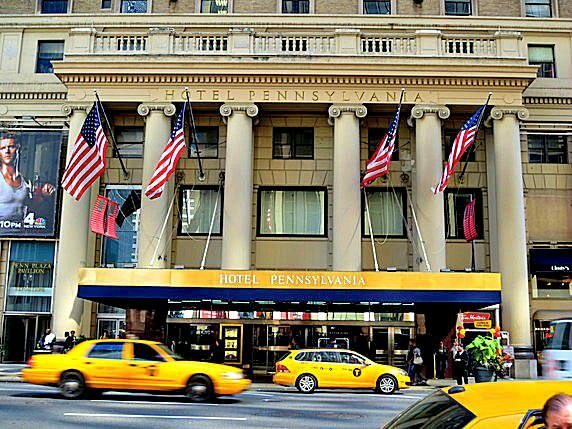 Guests enjoy the light "Breakfast to Go in a bag," comfortable beds, large room sizes, and being close to all the tourist action in Midtown. The front desk attendants, known as "Connectors," offer insider tips, local hotspots, eatery favorites and off the beaten track recommendations. 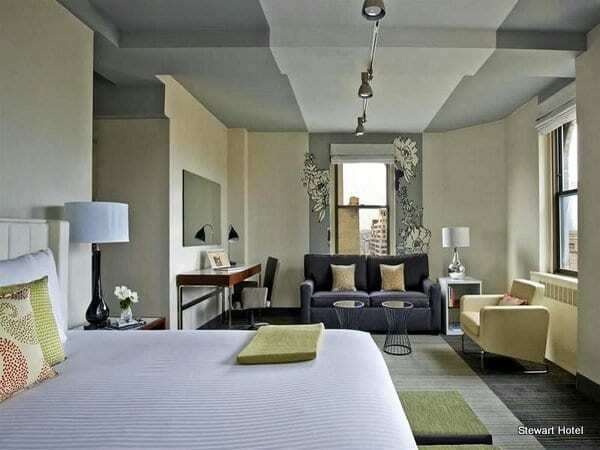 Royalton is a super hip hotel right off Times Square appealing to a sophisticated crowd. The majority of rooms have 5 foot soaking tubs and fireplaces and the lobby is sleek and cozy with a huge bronze fireplace and leather sofas. 44, the restaurant, has been a trendy NYC hotspot for years. The Hudson Hotel has a beautiful private park, like a mini Central Park, with full cocktail bar, chaises, floor cushions and ivy on the walls. The outdoor patio is heated in the winter and the hotel is a bit further West than the other main hotels in this area, but much quieter. Sophisticated urban luxury in the heart of midtown Manhattan, the award-winning London NYC sets a new standard for New York luxury hotels. Named to several “Best Of” and “Top 10 lists”, you’ll find detailed design, attentive service and the acclaimed Gordon Ramsay restaurant. The Modern Romance Package includes: *En suite couples massage and Signature Gordon Ramsay Martini, *Assorted canapés, and *Assortment of aromatherapy bath salts. Other packages include Broadway & Bites and Bed and Breakfast.